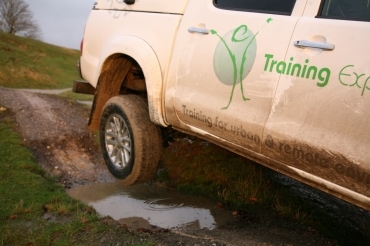 Our off road training is perfect for anyone who needs to drive off road for work, travel, research or just for fun. The 4x4 driver training is practical and tailored to your needs. Our driving trainers are experts in driving in all conditions but also in training people to pick up these skills quickly and effectively. Whether you are driving the forestry tracks of the UK, researching on poor quality mountain roads or driving in sand or snow, rocks or ice in some of the world’s most remote locations - our off road training courses and 4x4 driver training will build the skills, confidence and qualifications you need to make your plans a reality. 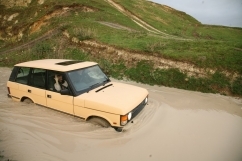 We offer a range of courses starting with our introduction to 4x4 off-road driving course. This course takes even the beginner to a level of competence and confidence to drive 4x4s in a range of off-road situations. It covers the core skills of vehicle categories and controls, vehicle inspection & checks. These skills are then applied to deal with ascents and descents, ditches, ridges, ruts and side slopes. 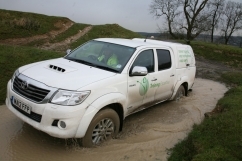 For those looking to further their skills we also offer our advanced 4x4 off-road driving courses. This takes the core skills of the introductionary course and extends it with advanced techniques to deal with steep ascent & descents, shallow wading and driving in darkness. It also gives you rescue and repair skills such as self and tow recovery and changing wheels. All of our off road training uses our driving instructors' wealth of experience of driving and training all across the world to ensure practical, applicable training whatever your plans. 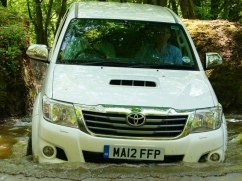 We can run 4x4 driver training in our vehicle, from our specialist off-road center in Hampshire but also specialise in tailored courses run with your vehicles, in your location and at a time which suits you. We can offer accreditation through our LANTRA courses dependant on your requirements, allowing us to provide courses to meet your legal and professional requirements as well as structured and informative courses for the leisure user. We also specialise in training and assessments following your own company guidelines and systems. We're always happy to chat through your specific needs to help you find the right course for you – so don't hesitate to get in touch for a chat. Need something different? We do bespoke courses for just about any sector. Please contact us for information.